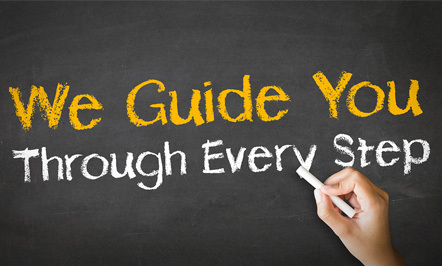 Welcome to LiveVideoEducation's How To Use Guide. The How To Use Guide explains how each LiveVideoEducation feature works, and details its functions. The guide is divided into two sections and is accessible through the tabs at the top of the page marked Student and Faculty. Each section represents a group of functions or tasks with their detailed explanations. You can return to the main page of the categorized list by clicking on the appropriate tab at the top of the page. Some of the pages are divided into subsections regarding a function or a group of functions. All available subsections are listed on the right side of the page. You can access detailed information on each subsection simply by clicking on it. Functions explained in the guide are usually accompanied by a screenshot or an explanation. Clicking on a screenshot will enlarge the image, and it can also be opened in a new page by right clicking the image and selecting "Open link in new tab". Opening a screenshot in a new page will prevent having to use the 'Back' arrow in your web browser, and will also enable you to refer back to the image easily while reading instructions. In addition to information contained in the guide, you can quickly identify the function of any icon used in LiveVideoEducation by simply rolling over it with your mouse. You can also access basic information about LiveVideoEducation, such as key terms, site structure, FAQ's and more by clicking on the About tab at the top of the page. LiveVideoEducation is extremely configurable and has been customized by the system administrator, so some functions may be disabled or unavailable. © Copyright 2017 LiveVideoEducation.com. All Rights Reserved. If you are not a member of Net Of Bz click here.